As winter draws to a close, Annabelle talks about getting stuck into the garden, planting 60 pots of catmint (using an incredible giant corkscrew fitting that just attaches to a cordless drill - it's like this - and not an ad, just an enthusiastic sharing of a gardening tool), while Gillian eats bread pudding with her sisters. Bread pudding (not to be confused with Bread & Butter pudding) can be made with whatever stale pieces of bread you have left over. I keep mine in the freezer until I have enough to make a couple of puddings. As you can see from the photos, my pudding included lots of lovely rye bread, which makes for a darker bread pudding. If you use lighter styles of bread, expect your bread pudding to look much lighter. Bread pudding is very simple to make. 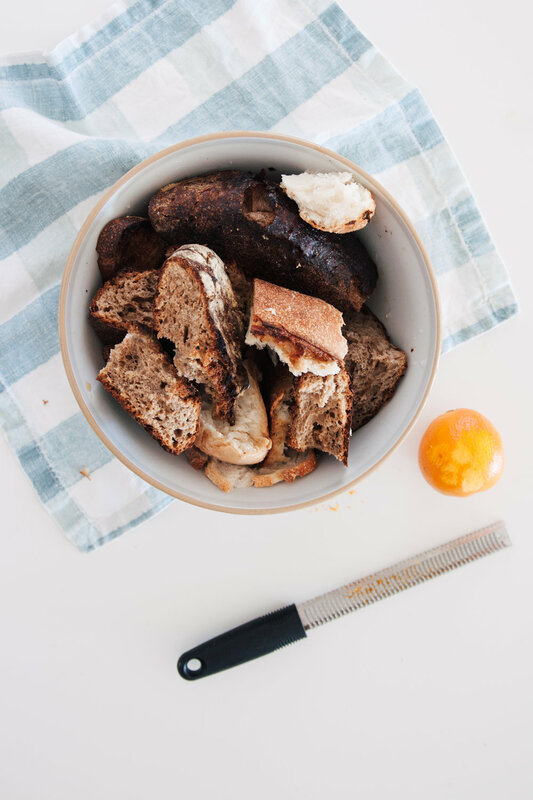 Stale bread is softened with water 'til it is very moist (soggy) and then torn into small pieces with your hands ( it is fine to leave in the crusts - I love the texture they give to the pudding). To then add the ground spices of your choice, dried fruits, an amount of sugar to your taste, 2 eggs to bind it, and 100 -150gms of melted butter. I like to use a little less sugar so that I can add some more at the end, sprinkled on top. This week we received two incredibly gorgeous letters in the mail. The first was delivered to our new podcast postal address "The Cupboard, Tenterfield Fuels, Tenterfield, NSW AUSTRALIA 2372" and it literally was waiting for us in the cupboard. Thank you @misskkkkkkkkkkkk - you made our day. And the second letter was from Naomi Bulger who is a dear friend of Dispatch and creates the most gorgeous mail art. She's an advocate of letter writing and this week, to coincide with International Letter Writing Week, she has put forward the idea of a week-long challenge to write a letter or postcard a day to someone who might be lonely. What a great idea. Click the link here for more details. And here are a couple of pictures Naomi took of the letter she wrote to us ... we'll show you more next week. The details are exquisite and must be shared. Mail from the one and only @naomibulger . Find more of her work here. And another glimpse into the genius of Naomi Bulger. Find her on instagram @naomibulger and her website here.